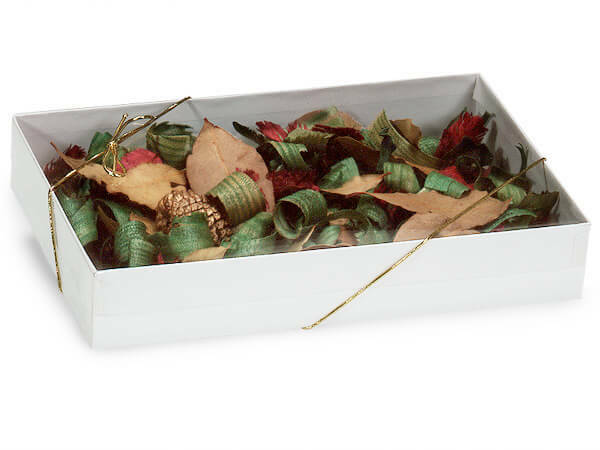 These 9.5x6.5x1.5" boxes have white swirl bases, clear lids and white interiors. Great as stationery boxes, greeting card boxes or to display your product. Rigid bases and vinyl tops. These empty boxes do not have synthetic fiber fill included. Made in the USA.